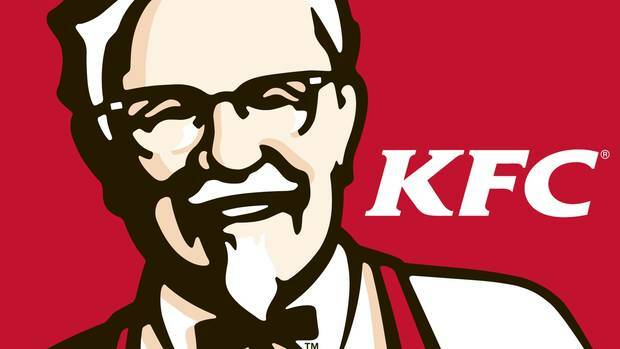 A young KFC worker who refused to shave the beard he had grown to cover his facial scars wants an apology for being sent home without pay. The 22-year-old Auckland man, who only wanted to be named as Ryan, said he started growing the beard seven or eight months ago after recovering from facial reconstruction surgery, which he needed because of treatment for childhood leukaemia. Out of the blue recently, a manager at the KFC restaurant he works at began yelling at him for having the beard, he said. "I was told off for having a beard and told that if I turn up [with it] again I will get a disciplinary," Ryan told the New Zealand Herald. "He was, like, yelling at me. Everyone else was, like, staring. Customers could hear what was going on ... he wasn't very polite about it." "I feel like I'm a good worker, I work hard to do my job. I felt like it was really uncalled for." Ryan has some scarring on his face from the surgery, which involved separating his jaw and pulling it forward about 10mm. Another reason he grew it was because he regularly works on the drive thru, and the cold air coming through the window can be painful on his face. When he returned to work for another shift without having shaved his beard, the manager told him to "buy a razor or go home". Ryan was sent home without pay. He has complained about the incident and is asking for an apology, and to receive the day's pay. "I don't think I'm being unreasonable." Ryan had requested a beard net to wear at the restaurant, which he said KFC are required to supply, but was told there were none. He said the restaurant has since stocked up on them. He has continued going to work since then without issue, with his beard intact. He said the issue needed to be sorted. "It's just bullying at this point." A KFC spokesperson said they were aware of Ryan's concerns and took complaints of this nature seriously, "including having correct processes in place for investigating them". "We cannot comment on the specifics of this case as it is part of an ongoing employee investigation." But Unite Union fast food lead organiser for Auckland and Northland Gary Cranston said the company had "outright ignored a very serious complaint ... perhaps to avoid paying the worker the measly costs of reimbursing him for pay he lost because he was unreasonably sent home from a rostered shift, or to avoid admitting responsibility for causing the problem in the first place". "We are regularly contacted by employees of Restaurant Brands whose complaints have been ignored or have who been punished for complaining. All of this contributes to a culture of fear around raising complaints which can create unsafe workplaces. "Workers should be free to speak out without fear of retribution. "If their representatives cannot be trusted not to abuse blanket policies like this then they should take a closer look at their policies and how they are implemented at a store level."